Danielle is a PhD candidate in the Biomedical Engineering Graduate Program, specializing in Medical Imaging, at the University of Calgary. Kathryn is a PhD candidate in the Biomedical Engineering Graduate Program at the University of Calgary. Andres is a PhD candidate in the Biomedical Engineering Graduate Program at the University of Calgary. Jacob is a recent MSc graduate from the Biomedical Engineering Graduate Program at the University of Calgary. Abdullah is a PhD Candidate in the Biomedical Engineering Graduate Program at the University of Calgary. Riley successfully defended his MSc in Biomedical Engineering at the University of Calgary in 2017. Ryan is a MSc student in the Biomedical Engineering Program, at the University of Calgary. Phil is a MSc student in the Biomedical Engineering Program, specializing in Medical Imaging, at the University of Calgary. Kea is a medical student at the University of Calgary. Tannis is starting her masters in Biomedical Engineering at the University of Calgary. Since 2017, I have been pursuing my PhD. at the University of Calgary. Faizan is a graduate student studying neuroscience at the University of Calgary. Biomedical/electrical engineering undergraduate coming off internship and going into my final year. I’m a PhD Candidate in Biomedical Engineering at the University of Calgary, I’m studying healthy brain development. I'm a current MSc student. transferring into the PhD program in Biomedical Engineering this fall. 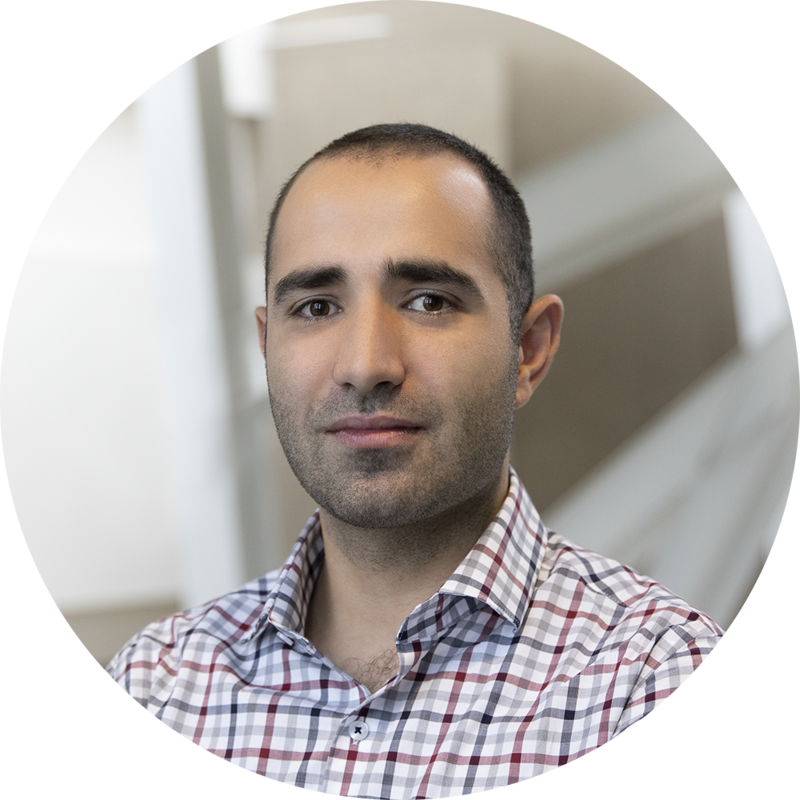 Amirali (aka A.K) is a Biomedical Engineering master's student at U of C focusing on machine learning. Jaime is an industry professional with over 6 years of experience as a Control System Specialist. He graduated from the Instrumentation Engineering Technology program at NAIT.